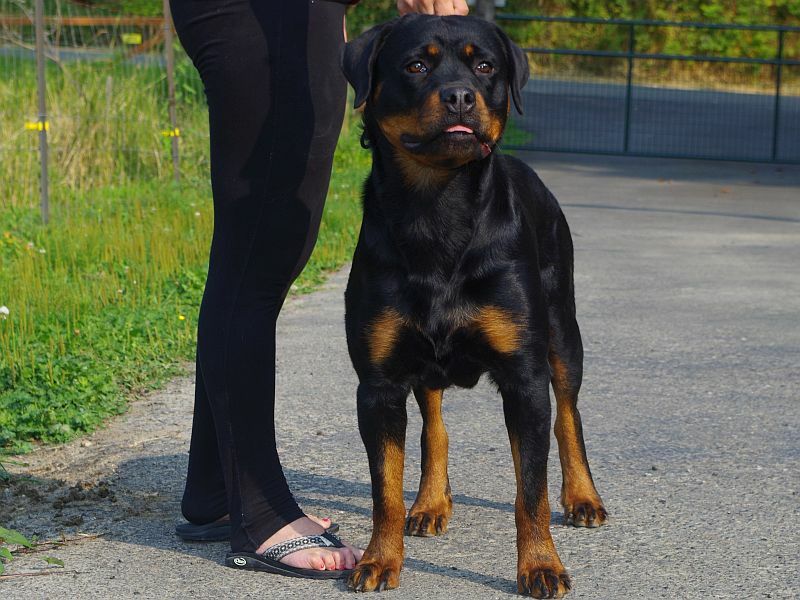 At Ostenberg Rottweilers we believe in breeding the Complete Rottweiler – Conformation, Intelligence, Temperament and Health. Our breeding dogs have been health tested, at a minimum, for hips, elbows, advanced cardiac, eyes and JLPP before they are used in our breeding program. All of our puppies are sold with a written contract and with a health guarantee. We encourage our puppy buyers to enjoy and compete in dog sports such as obedience, conformation, herding, agility, therapy work, and so forth. We want each and every puppy we produce to be able to reach its full potential and expect our puppy owners to help get them there. 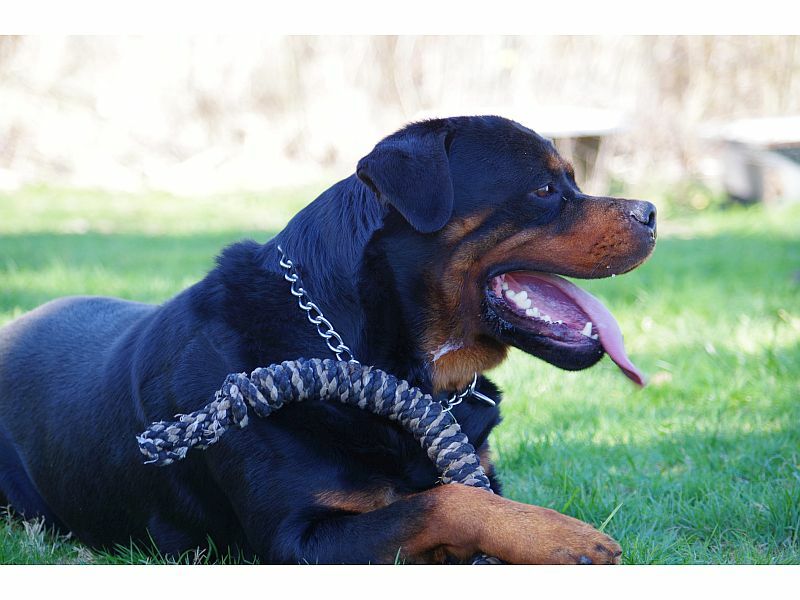 We also feel it is very important that we know the health of all the puppies that we are producing, and like to keep in touch with all our clients during the life of their Rottweiler. We dock tails and remove dew claws on all our puppies unless requested by our client (conditions do apply). Our Rottweiler Stud Dogs we are using in our breeding program. While we might not own every stud dog on our website, we will be sure to clearly mark the owner of each. Our Female Rottweilers we are using in our breeding program. We own our females but from time to time we might co-own a female. 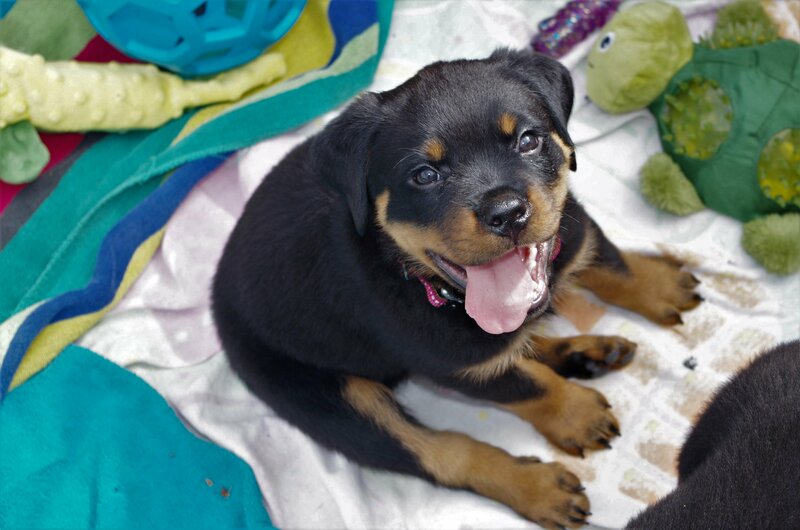 Our Rottweiler Puppies we are producing in our breeding program. This is our current litter page so our potential clients may see what we have coming up and available.